Eleven year old Kiera Quinn is sure she’s having a nightmare. She doesn’t believe a nap that started safe in her suburban bedroom ends in an empty wasteland. She doesn’t believe everyone she’s ever known may have never existed―and she definitely doesn’t believe an old man who tells her she will resurrect the world. After he finds her crawling from a vent, the odd shaman clad in junk and old computer parts claims she is ‘the child born of the earth,’ humanity’s only chance to survive. As crazy as he sounds, being alone in a vast desert frightens her more than a kindly stranger. Desperate and scared, Kiera humors him, hoping her bad dream ends soon. Fate has a funny habit of getting in the way of destiny. When an opportunity for a safe home presents itself, Kiera jumps at the chance. New parents and a new town―even a super-primitive tribal village―feel like the best place for a child to be, not off saving the world at the ramblings of a nutty old man. Adjusting to life without video games isn’t easy, but her new mom and dad give her what her old ones couldn’t: time and attention. Alas, Kiera’s discovery of a secret within ancient ruins causes the ruler of the distant Citadel to regard her as a threat in need of disposal. Her only chance to keep her new family is to believe a crazy old man wasn’t so crazy―and that saving them won’t destroy the whole planet. The Eldritch Heart is about two months away. In hopes of getting the word out, I’ve decided to try this Thunderclap thing again. For those who aren’t familiar, Thunderclap is a service that sets up automatic tweets or Facebook posts on a specific date. Supporting a Thunderclap involves clicking a button on a website, and then on the specified date, the system posts one tweet or one Facebook post (or both) on your behalf to spread the word. It costs nothing and takes about 20 seconds. Also, on August 1st (release day), please join me on Facebook for an online release event. We’ll have contests and giveaways (all within the FB event thread). In other updates, I’ll soon be posting an interview with Author Wilbert Stanton around his upcoming release Gears of Fate. 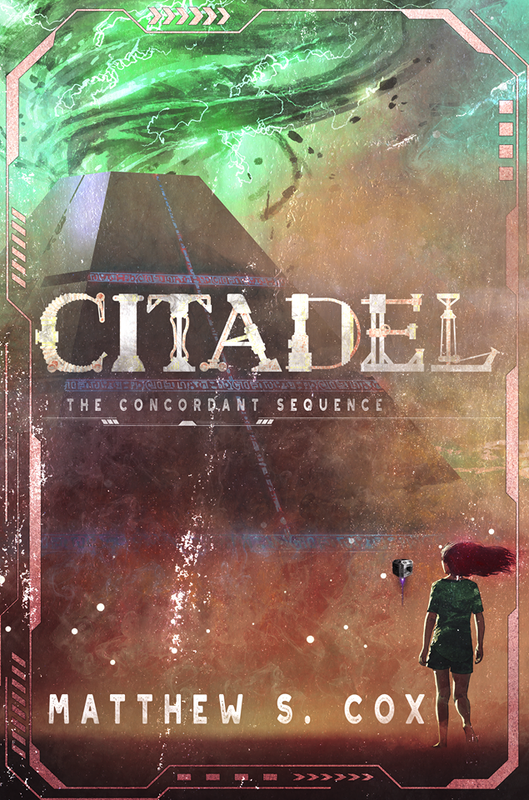 Also, I am thrilled to announce that my upper middle-grade post-apocalyptic novel, Citadel: The Concordant Sequence, has been signed for publication by Curiosity Quills Press!